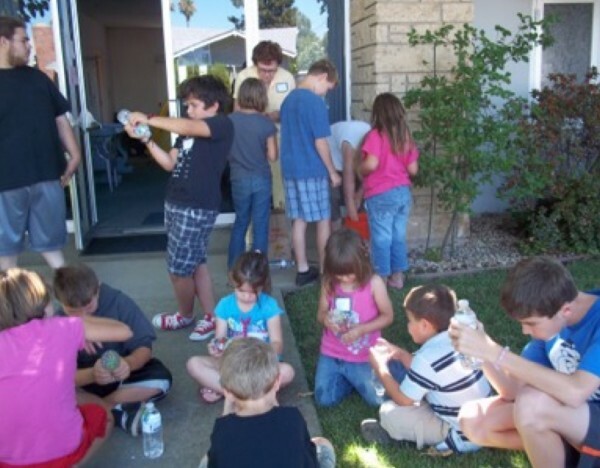 Games, plays, snacks, arts and crafts are part of the non-denominational Vacation Bible School hosted by the Christian Science Church in Yuba City. School age children are welcome to “Climbing the Mountain while Conquering Challenges with God’s Might Power,” from 9 a.m. to noon on July 20th through July 24th. The church is located at the corner of Brown and B Streets behind the Yuba City High School baseball field. For more information, call (530) 673-1712 or (530) 673-3187. Years ago a member of our Church entered the auditorium of a local Presbyterian Church filled with happy and excited children. Her friend who was checking up on her sons, introduced her to the woman in charge of the vacation Bible School (VBS) and also gave her the source of their curriculum. Our Christian Science Church was pretty small by comparison to the Presbyterian Church, so at first it didn’t seem possible to pull off a VBS. There were, however, several teachers among the members, so we gave it a try in 2003. Now, in 2015, we’re still going strong. 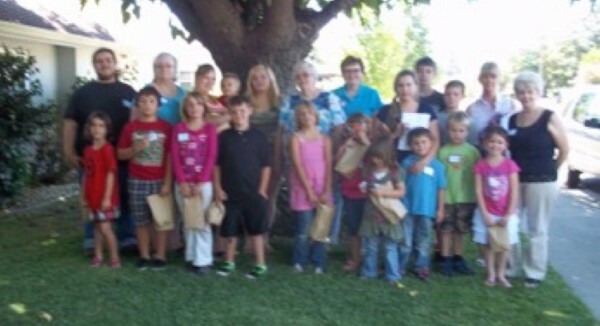 We average 12 to 21 children in attendance with ages ranging from preschool to twenty-somethings. As the children grew up and stopped attending, we were able to coax some of them back as helpers/ teachers for pay. Our VBS runs for a week–Monday through Friday–usually in early July, from 9:00 AM to 12:00 noon. We had a special banner made which hangs outside our church for a couple of months, and we also advertise this non-denominational VBS in the local newspaper. The advertisement specifies school-age children, but we have occasional preschoolers who are always accompanied by a parent. Walk-ins are always welcome to the Christian Science Church at 998 B Street, Yuba City, California, 95991. We begin that first day, with registration, sign-in, and name tags. At nine we begin instruction in our auditorium with a welcome, introduction, and overview of that week’s curriculum, which begins with the Old Testament and ends on Friday in the New Testament. The introduction may be slightly modified if there are a number of kids who have not attended previously. At the end of the initial INSTRUCTION SESSION, which is filled with kid-participating skits accompanying the Bible-read story for that day, everyone lines up for CRAFTS in the Sunday School. SNACKS follow the crafts, and OUTDOOR GAMES follow the snacks. 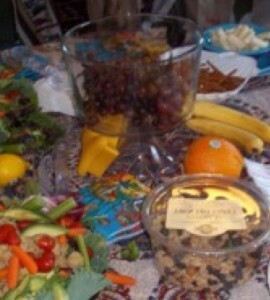 Special effort is made to include foods eaten in the Bible; i.e. flat breads, dates, melons, etc. Each of these ACTIVITIES dovetails with or ties into the curriculum. Each time we break for the next event we have the opportunity to regroup and include repetition of information (REVIEW) to help reteach. Building the Wall with NEHEMIAH! When beginning our VBS, each church member chose one of the activities with which they felt most comfortable. The rest of us back them up when it’s their turn, whether it’s food, crafts, instruction, or games by helping out with the kids, or providing supplies and encouragement. The last session of each day is a WRAP-UP REVIEW with questions from that day’s (along with previous day’s) instruction, including a general Bible review of learning through-out the ten years. Points are earned by appropriate behavior, correct answers, and also by just helping out. Children also may earn points for memory work (Lord’s Prayer, Ten Commandments, Beatitudes, and 23rd Psalm) from handouts distributed on the first day. These points are tallied during the week, and end up bestowing first choice for grab bags and prizes. These are monitored carefully so that each child may have a first chance. The children do look forward to returning each year. Efforts are made to keep it light and fun while also enabling some Bible literacy (especially for those who have never before attended a Sunday School) and a love for God in their understanding of key Bible stories. The curriculum obtained is from Group Publishing. Our Church doesn’t strictly follow the curriculum, but rather uses this as a framework from which to develop our own ideas for implementation. 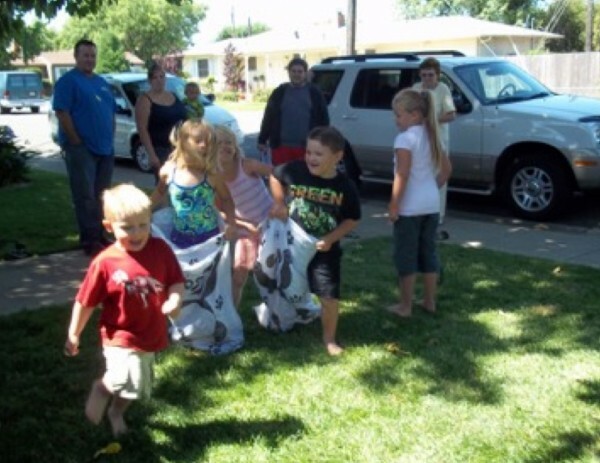 Try it …VACATION BIBLE SCHOOL is fun! The truths of the Bible are put into practice.